Airport at Tirupati is the nearest, located at a distance of 21 km. The airport has regular flights connecting from Bangalore, Vijayawada, Hyderabad and Chennai. Hyderabad is the nearest railway station and Tirupari is the nearest railhead available to reach the national park. There also are various trains that travel via Renigunta or Gudur, visitors can further use the local transportation mode to reach the national Park. Tirupati is located at a distance of 10 km from the national park. There is local conveyance available. Alternatively, one can also book a cab or private taxi to reach the national park from Tirupati. The national park is also located at a distance of 160 km (three hours drive) from the capital city of Tamil Nadu, Madras. Along with providing shelter to the popular Slender Lorises and Stump-Tailed Macaque (Afacaca Arctoides), the national park is also praised for being a special themed park that features animals mentioned in ancient Hindu Manuscripts and Epics. In 1989, it acquired the status of National Park. Moreover, the APFDC (Andhra Pradesh Forest Development Corporation) has also recognized the national park for the advancement of Eco-Tourism (ET) in the region. What is Sri Venkateswara National Park known for? The Sri Venkateswara National Park becomes a must visit for wildlife enthusiasts to spot the famous Slender Lorises and Stump-Tailed Macaque (Afacaca Arctoides). Where is Sri Venkateswara National Park located? Sri Venkateswara National Park is situated in the outer reaches of Tirupati, the world famous temple town. Though, the national park is open throughout the year, the best time to visit is between June and March. The region experiences hot summers and is not very cold during winters as the temperate scales from 15°C to 40°C. What are the opening and closing timings? What are the charges of National Park? Groups of School Children: Free Entry. What species of flora and fauna can be witnessed inside Sri Venkateswara National Park? Mammals: Rhesus Macaque, Stump Tailed Macaque, Lion, Bonnet Macaque, Tiger, Baboon, Dhole, Hyena, Leopard, Jackal, Indian Fox, Chinkara, Wolf, Chital, Four Horned Antelope, Nilgai, Blackbuck, Sloth Bear, Sambar, Elephant, Muntjac, Porcupine, etc. Birds: Common Peafowl, Spotted Billed Pelican Or Grey Pelican, Purple Heron, Demoiselle Crane, White Ibis, White-Necked Stork, Brahminy Duck, Painted Stork, Common Teal, Barheaded Goose, Lesser Whistling Teal, Pintail, White Breasted Waterhen, Cotton Teal, Greylag Goose, Comb Duck, Shoveller, Purple Moorhen, Painted Spur Fowl, Garganey, Silver Pheasant, Jungle Bush Quail, Roseringed Parakeet, Grey Partridge, Slaty Headed Parakeet, Grey Junglefowl, Indian Spotted Munia, Blossomheaded Parakeet, Indian Baya, etc. Reptiles: Marsh Crocodile, Indian Pond Terrapin, Starred Tortoise, Golden Gecko, Gliding Lizard, Cobra, House Gecko, Termite Gecko, Common Skink, Rat Snake, Indian Python, Rock Gecko, Dog Faced Water Snake, Banded Rock Gecko, Russels Viper, Chameleon, Common Indian Monitor, Common Green Whip Snake, Banded Krait, etc. Flora:Acacia Sundra, Bauhinia Racemosa, Aegle Marmelos, Atlantia Monophylia, Azadirachta Indica, Madhuca Indica, Pterocarpus Santalinus, Pithecellobium Dulce, Ficus Racemosa, Ficus Religiosa, Dolichandrone Crispa, Tamarindus Indica, Phyllanthus Emblica, Cordia Myxa, Terminalia Arjuna, Pongamia Pinnata, etc. 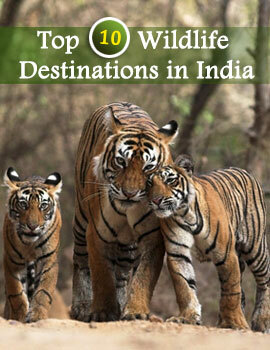 Are there any other attractions in and around Sri Venkateswara National Park? Sri Venkateswara Temple: Situated at a distance of 21 km, the world famous temple nestles on the top of the Tirumala Hills. The temple is also acclaimed to be one amidst the world’s richest religious institutions. Sri Padmavathi Ammavaru Temple: The temple is devoted to the consort of Lord Venkateswara, Sri Padmavati Ammavaaru, and is situated at a distance of 17 km on the Chennai road. Pilgrims consider the visit to the temple a very auspicious affair. Thus, it is also said that the visit to Tirumala is incomplete without paying heed to the Padmavathi Temple. Kalyana Venkateswara Temple: The temple is situated about 8 km from Srinivasamangapuram on the Tirupati -Madanapalle road. The temple features a larger replica of the idol in the Tirumala Temple. Govindarajaswamy Temple: The temple is devoted to brother of Lord Venkateswara, Govindarajaswamy. The temple is located at a distance of 7 km from the national park and in the heart of town of Tirupati. 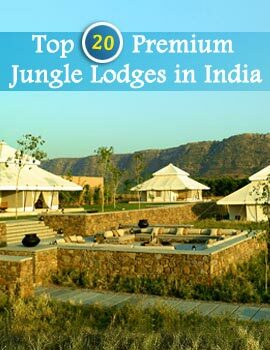 Can you tell me where I can stay while visiting Sri Venkateswara National Park? During your visit to the Sri Venkateswara National Park, you can opt for various options available for accommodation. There are various hotels and resorts available in close vicinity of the national park. Thus, being located in a close vicinity to the World Popular Temple Town, Tirupati, and the visitors can easily find accommodation. The hotels and resorts are equipped with all modern facilities and amenities to add to the level of comfort. Additionally, there also are on-site dining options available to tickel the tastebuds of the guests. There are various hotels ranging from luxury to budget are available for accommodations. Some of the popular hotels & resorts are Fortune Kences Hotel, Hotel Grand Ridge, P.S.R Hometel, Highland Darshan, Sri Sai Residency, Sindhu International, and Hotel Udayee International. Any last minute tips before I visit Sri Venkateswara National Park ? Private vehicles are only allowed if you accompany a forest guide. Entry of any weapon or sharp object inside the park is prohibited. Teasing, hurting or harming wildlife or fauna species of the park is strictly prohibited. While traversing in forest, patience is very much required. Do not miss to carry your camera along as you will get numerous perfect pictures to keep them in your collection as a lifetime memory. Keep your clothing comfortable and light. Do not were bright colors as some animals find bright colors as sign of danger and run away.